Looking for a job in Tippecanoe County Indiana? The following is a guide of Tippecanoe County Indiana employers and job seeker resources. Major cities covered include Lafayette. Tippecanoe County has a historically low unemployment rate, and it's a great place to work and live. Greater Lafayette is a vibrant community that offers all of the amenities of a large city while maintaining small town appeal. Opportunities abound in Greater Lafayette to create the career you want. Forbes has ranked Lafayette on its Best Small Cities for Business and Careers list based on improved employment and economic outlook. Tippecanoe County is a great resource that provides ongoing employment opportunities. Here you may find open positions such as Community Corrections Case Manager or Surveillance Officer, Head Correction Officer, Part Time Case Manager, Part Time Work Crew Assistant, Juvenile Probation Officer, Prosecutor, Deputy Prosecutor Attorney, Clerical Jobs, Deputy Sheriff, Jail Deputy, Part Time Communication Officer, Correction Officer, and Youth Development Worker. Check for updates. City of Lafayette often hires permanent and seasonal employees. A survey of open positions found had included Custodian, Guest Relations Lead Associate, Marketing Assistant, Grounds Maintenance, Loeb Stadium Grounds Crew, Maintenance Technician, Property Maintenance, Stadium Manager, Camp Counselor, Food & Beverage Manager, Lifeguard, Pool Manager, Food & Beverage Associate, Zookeeper, Administrative Assistant, Water Pollution Control Department jobs, and more. Visit their employment page for the latest vacancy listings. City of West Lafayette Indiana periodically posts employment listings. Open positions found recently had included Human Resources Manager, Part-Time Help Desk Technician, Lifeguard, Communications Center Supervisor, Patrol Dispatcher, Project Engineer Engineering Department. Franciscan Health Lafayette had a high volume of employment opportunities on this review date. A survey of open positions throughout the Franciscan Health network included Nurse Practitioner, Ed Tech, Imaging Technologist, Secretary, Patient Care Assistant, Registered Nurse RN Critical Care, Home Health Aide HHA, EVS Associate, Environmental Services Associate, Registered Nurse Labor & Delivery, Surgical Technologist, Registered Respiratory Therapist, RN Bone Marrow Transplant, Ultrasound Technologist, MAssage Therapist, Medical Assistant, Physical Therapist, Urgent Care Physician, Pharmacy Technician, Certified Coding Specialist, Medical Coding Jobs, Registered Nurse Orthopedics & Neurology, Emergency Medical Technician EMT, Genetic Counselor, Oncology Medical Assistant, Pediatric Medical Assistant, Social Worker, Customer Service Liaison, HVAC Mechanic, CT Technologist, Home Health Nurse RN, Chemical Dependency Therapist, Pharmacy Tech, and ICU Registered Nurse Intensive Care Nurse. IU Health Arnett Hospital is part of the largest and most comprehensive health system in Indiana. Here you will find positions such as Registered Nurse Emergency Department, Outpatient registered Nurse RN, Case Manager, Monitor, Tech, Lab Assistant, Nurse Practitioner Outpatient Arnett, Registered Nurse Med-Surg, Program Director for Arnett Hospital's Family Medicine Residency Program, Certified Registered Nurse Anesthetist CRNA, Dermatologist, Family Medicine Physicians, Registered Nurse Progressive Care Unit Arnett, Clinical Dietitian, Housekeeper, Food Service Worker, Respiratory Therapist, Outpatient Behavioral Health Therapist, Occupational Therapist, Housekeeping Jobs, Retail Pharmacist, Radiation Oncology Clerk, RN Hospitalist, Utility Worker, Medical Home Care Coordinator (RN), Home Care Occupational Therapist, and more. Lafayette Regional Rehabilitation Hospital provides specialized inpatient and outpatient rehabilitative services to our patients, serving Lafayette and surrounding communities. Lafayette Regional Rehabilitation Hospital is a member of a larger network of rehabilitation and long-term acute care hospitals through Ernest Health. Openings found included Housekeeper, Nurse Manager, Clinical Liaison, and Patient Care Technician / C.N.A. Valley Oaks Health provides quality behavioral health and addictions care. During review there had been open positions available for Case Manager, Master's Level Therapist, Psychologist, Registered Nurse, and Support Staff Secretary. Sycamore Springs is a newly-constructed, 48-bed psychiatric and chemical dependency hospital located on a beautiful campus in the Cascada Business Park in Lafayette, Indiana. Here you will find careers such as Activity Therapist, Admissions Therapist $5000 Sign On Bonus, Behavioral Health Care Review Clinician, Psychiatric Tech, Housekeeper, Inpatient Therapist, Med Room Nurse, Medical Physician, Nurse Practitioner-Sign on bonus and relocation available, Medical Records Coder, Psych Tech, Psychiatric Nurse Practitioner, Psychiatric Physician, Receptionist, Registered Nurse RN $5000 Sign On Bonus, RN House Supervisor, and Substance Abuse Addictions Counselor $5000 Sign On Bonus. Trilogy Health provides skilled nursing, assisted living, independent living, rehabilitation and memory care. There appears to be numerous facilities in Lafayette that offer an array of ongoing career opportunities. Heritage Healthcare features state-of-the-art equipment and therapies available on an inpatient and outpatient basis with 24-hour skilled nursing care, private suites and a homelike atmosphere. Rosewalk Village of Lafayette offers skilled nursing and senior care. Recent postings have included MDS Coordinator LPN / RN, QMA Qualified Medication Aide, Licensed Practical Nurse / Registered Nurse, CNA Instructor RN, Certified Home Health Aide, CNA Certified Nursing Assistant, and Student Nurse. Lafayette School Corporation posts classified and certified positions as vacancies become available. During review the following types of jobs were found: Job Coach, Paraprofessional Preschool, Paraprofessional Intermediate School, Lunch Supervisor, Educational Interpreter (sign language), Tutor, Title I Miller Elementary School, Bus Attendant, Classroom Attendant After School Program, Paraprofessional Special Education, ELL AIDE, Bus Driver, Secretary, Substitute Teacher, Custodian, School Nurse, Speech Language Pathologist, Autism Consultant, School Psychologist, Occupational Therapist, Kindergarten Teacher, 3rd Grade Teacher, Elementary Emotional Disabilities Teacher, Math Teacher, 2nd Grade Teacher, English Teacher, and Band Director. 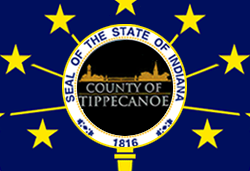 The Tippecanoe School Corporation is a comprehensive K-12 public school corporation. TSC is comprised of two high schools, six middle schools and 11 elementary schools that serve approximately 12,500 students in Greater Lafayette. Tippecanoe School Corporation's employment opportunities included Grade 4 Long Term Substitute, School Nurse LPN, Substitute Teacher, School Bus Driver, and Food Service Assistant. West Lafayette Community School Corporation provides employment applications for administrative staff, certified staff, substitute teaching, and support staff jobs. Wabash Valley Education Center is dedicated to assisting teachers and administrators in their efforts to educate students. They provide leadership to member schools by providing cost-effective, innovative resources for professional development, technology, and cooperative purchasing. Lafayette Christian School provides a Christ-centered education with each subject area and school activity taught within a worldview where Christ is at the center. During this survey there were opening for Development/Advancement Director, Custodial Part-time Job, Elementary and Middle School Teachers, and Substitute Teachers. Montessori School of Greater Lafayette offers classes for children ages 1 to 9. Classes include parent/infant, toddler, mixed-age preprimary (including Kindergarten) and mixed-age elementary (grades 1-3). Lafayette Catholic School System is comprised of preschool through high school. Their employment portal recommends creating a pre-employment file by completing the online application. T.C. Harris School tailors programs to the needs of the individual student to help them become more independent and gain emotional and behavioral control so that they can successfully transition to the next stage of their lives. During review the following positions were discovered: 2nd Shift Unit Coordinator, Youth Counselor, Teacher	Full-Time, Licensed Therapist, Nursing Assistant, 2nd Shift LPN, and Housekeeper. Purdue is a prestigious university and a top employer in the region. Purdue employs nearly 2,000 faculty and 8,000 support staff. Purdue University is a place of innovation and discovery with incredible faculty, staff, and students. Ivy Tech Community College periodically hires faculty and support staff. Visit their careers page for the latest updates. The Tippecanoe County Sheriff's Department is dedicated to hiring and retaining the most qualified men and women for their agency to serve the Tippecanoe County community. The City of Lafayette Police Department was accepting applications for full-time police officers on this review date. Check their recruitment page for the latest updates, basic requirements, and Police Officer application process. Tippecanoe Emergency Ambulance Service (T.E.A.S.) provides the community with 24-hour, state-of-art, emergency care and treatment of ill and injured patients in the pre-hospital setting. Lafayette Fire Department's recruitment page provides information for how to become a Firefighter to include Firefighter recruitment process, application process, testing, and more. Subaru-indiana Automotive's newest expansion will add 1,200 new jobs. Subaru-indiana Automotive offers competitive wages and comprehensive benefits. Many people may not be aware of the variety of careers available at SIA. In addition to production and maintenance positions, accounting, engineering, human resources, safety, environmental, communications, and information systems are just a few examples of the many different career opportunities available at SIA. Wabash National Corporation is North America's leading producer of semi-trailers and liquid transportation systems and employs over 3,000 people. Tippecanoe Mall is located in Lafayette, Indiana. Tippecanoe Mall advertises retail jobs on Simon's job board. Oerlikon Fairfield is a manufacturer of engineered gear and drive solutions. Its products are sold worldwide to leading off-highway vehicle and industrial equipment manufacturers. Greater Lafayette Commerce business directory can be used to research area businesses.